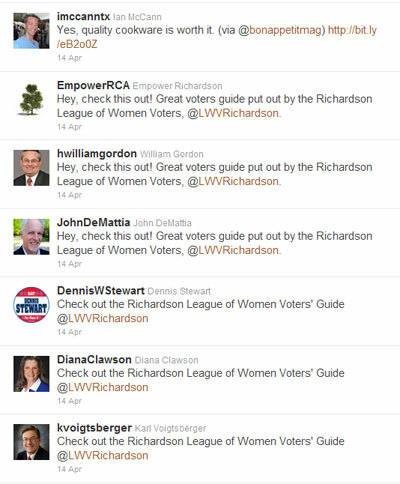 The Richardson Coalition PAC mailed a brochure to Richardson senior citizens. The Dallas Morning News posted a copy of the mailer here. After the jump, let's review it. I earlier reported that the choice between Mark Solomon and John DeMattia for Place 2 on the Richardson City Council was my hardest voting decision of all. And it was. Judging only by their performances during the series of candidate forums, I tended to tilt, ever so slightly, towards DeMattia, with some reservations. But looking at the total picture, including not just forum performances but everything I knew about the candidates outside the forums, I finally came down on the side of Solomon. You can read my reasons here. After the jump, a second look. For several weeks Fort Richardson has been under attack from the DeMattia, an Alliance frigate commanded by an Alliance admiral. The McCalpin, a ship of the line [independent] of the Coalition, [but aligned with the Coalition on this issue at least], returned fire but has been unable to stop the attacks. Yesterday, the Coalition's flagship made its first appearance in the battle, rolling out its big 24-pounders and directing fire straight at the DeMattia. For us spectators watching safely from shore, it's been a glorious spectacle. As the smoke begins to clear, it appears that both sides have sustained damage, but the Alliance and Coalition banners continue to fly. After the jump, surveying the battlefield. Richardson Idol had its big season finale Tuesday evening. The red carpet was out. The searchlights were shining. All the stars were there (Gary and John and Bob and Lanet and the Kim twins). And so were the paparazzi (well, Cheri). The public poured into the hall by the hundreds (meaning at least two; three, tops.) The big event was held at Hollywood's Kodak Theater the Richardson Civic Center's Grand Hall. It was co-sponsored by the League of Women Voters of Richardson and the RISD Council of PTAs. Check your local listings for rebroadcast times. Our broadcast partner, CITV, can be found on Time Warner Channel 16 and on ATT U-Verse Channel 99. Twelve of thirteen contestants vying for the grand prize, a seat on the Richardson City Council, performed on our stage for our judges Tuesday night (absent: North). As the format requires, it is up to the audience (and by audience, I mean me) to eliminate one contestant each week until we have a council. But before we hear who will be eliminated this week, let's first hand out superlatives ... after the jump. Thanks to a well-timed Open Records Act request just before the upcoming city council election, I was able to get my hands on voice recordings of the private phone conversations of certain members of the city's Parks and Recreation department. The transcript reveals questionable details about the behavior of our city officials. It also confirms the truth of some of the most serious charges being made by candidates in the upcoming city council election. This could blow those races wide open. After the jump, some of the highlights of the verbatim transcripts of the secret tapes from city hall. "The 2006 tax swap - lowering local school property taxes and creating a new state business tax to make up the difference - is at the center of the state's current budget troubles. It was never an even swap, and the architects are still pointing fingers over what and whom to blame for the 'structural deficit' in state finances. Then-Comptroller Carole Keeton Strayhorn told lawmakers at the time that the package of bills didn't balance. ... By her reckoning, the state was raising $23 billion less with its new taxes over the first five years than it was promising in relief to property taxpayers in local school districts around the state. Here's a line that seemed inflammatory then but looks practically clairvoyant today: 'At worst, it will relegate Texans to Draconian cuts in critical areas like education and health care for at least a generation. This is not a victory for taxpayers. It is a sham, and Texans will see it for what it is.' She urged Perry to veto it. He signed it instead." Carole Keeton Strayhorn, whose crystal ball was crystal clear, is today a largely forgotten ex-office holder. Rick Perry, the engineer of Texas's current budget crisis, is a multi-term governor whose popularity in Texas has never been higher and who is being mentioned as a potential Presidential candidate. What's wrong with this picture? Maybe it's the assumption that Texans oppose "Draconian cuts in critical areas like education and health care for at least a generation." Although Perry never said in so many words that that was what he wanted to accomplish, that's what he delivered. It must have been to the satisfaction of the majority of Texans. They voted for him. He remains popular today. "In a democracy, people get the government they deserve." Richardson Idol's popularity is growing, staging three new shows this week. Tuesday's show was sponsored by the Richardson Chamber of Commerce. Because it was pay-per-view our judges will not consider it in their reviews. Thursday night's show was sponsored by the American Muslim Alliance. Saturday's matinee will be sponsored by the Mark Twain HOA and Glenville Park HOA. Our judges don't do the daytime version of our show, so this week's voting is based solely on the Thursday night show. Eleven of thirteen contestants vying for the grand prize, a seat on the Richardson City Council, performed on our stage for our judges Thursday night (absent: Clawson, North). Should Richardson Tear Out Central Expressway? 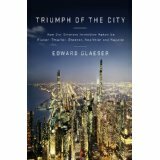 "Eisenhower, the father of the quite necessary INTERSTATE system, understood far better than anybody gives him credit or anybody involved with transportation planning/funding/building since, that INTRACITY freeways destroys the wealth of nations, the economies of cities." Patrick Kennedy, Dallas urban designer and champion of tearing out Dallas's downtown freeways, argues that Eisenhower's interstate highway system was a good idea carried to a bad extreme. Building highways to connect cities, good. Building highways through downtowns, bad. IH45 between Dallas and Houston, good. R.L. Thornton, Stemmons, Woodall Rodgers, the Canyon, the Mixmaster, Project Pegasus, all bad, bad, bad. After the jump, one man's intercity freeway is another man's intracity freeway. "It's still being litigated." That was City Council candidate William Gordon's claim at a recent candidate forum regarding his 2007 lawsuit against the City of Richardson. That appears to be technically correct, if by "still being litigated" you mean Gordon and his attorney are still filing motions with the court. After the jump, the City of Richardson's response of April 8, 2011 to Gordon's latest motion. At Monday's work session, the Richardson City Council considered the possibility of adding an honorary name to the city's Municipal Court facility on Campbell Road. The city has in mind Ray Noah - former mayor, council member, municipal judge and DART board member. No argument from me. Still, it would be a shame not to explore the other possibilities just a little bit. What if Ray Noah declined the honor? After the jump, some ideas for consideration. This is Part 2 of our Richardson City Council Election Quiz. (Part 1 can be found here.) There is only one question in Part 2. The Dallas Morning News Voter Guide asked the candidates this question: "Who are your top three contributors?" The candidates' answers are below. Question: Which answer(s) sounds less like a champion of open and transparent government and more like someone using legalisms to avoid being transparent and open with the voters? William Gordon: I report all campaign financing in accordance with state law, and will file my first report next week; any information I have at this time would be incomplete. Hint: There is more than a little irony associated with one of the answers considered correct. This quiz is about the May 14 Richardson City Council election. It has three questions. Take your time. Question: The tweets below were all posted at almost the exact same time. Which one's timing was most likely just accidental that it was simultaneous to the others? Two-part Question: Who is the real voice behind these candidates? And, if the candidates are willing to turn their Twitter accounts over to him or her, what else are they willing to turn over? Grading will be on a curve. Richardson Idol aired two episodes this week. Tuesday night's show was sponsored by the Berkner Park Neighborhood Association. Unfortunately, it was only a "Meet and Greet" so our contestants did not take the stage and perform. Thursday night's show was sponsored by the Turquoise Council for Americans and Eurasians. And put up a parking lot." A public meeting is planned for April 27 for public input on location and design for a new "mini-neighborhood park" in the Richardson Heights and Cottonwood Heights areas. It's great to see this 2010 Bond item moving forward. It's rare to see buildings giving way and trees making a comeback in a developed area. Then I got to thinking about parks in general. And that made me think about one undeveloped part of Richardson in particular (yes, there is at least one such gem left). And that led me to flip-flop on a vision/dream/fantasy I've long had about that gem of nature. Yep, flip-flop. I'm now thinking that some trees, at least a few anyway, just might have to go. I'm suggesting "Un-Tree the Town," at least a little bit, in one very specific location. After the jump, please stop me if I'm making a big mistake. In a series of emails, Richardson resident Andrew Laska is offering his opinions about the May 14 Richardson city council election. I published the first such email here. Now, he's written another. I won't republish each of his epistles, but I may comment occasionally. After the jump, one of my occasional comments. "CHARLESTON, APRIL 12 - The ball has been opened at last, and war has been inaugurated. The batteries on Sullivan's Island, Morris Island, and other points, opened on Fort Sumter at 4 o'clock this morning. Fort Sumter returned the fire, and a brisk cannonading has been kept up." One hundred and fifty years ago today, Civil War hostilities commenced with Confederate forces firing on Fort Sumter. By the time of Lee's surrender at Appomattox four years later, over 600,000 people had died in the war. Today, despite the gallant battle re-enactments by Civil War buffs in gray and blue costumes, the war and especially its shameful cause remain the darkest stain on American history. I've blogged about it before, but it's worth repeating the cause of the war, as spelled out by the people of the day, in their own declarations of secession, and not the causes chosen by revisionist historians and the apologists for secession ever since. One principle dominates those original declarations of secession and it's not states' rights. It's the defense of slavery. States' rights, when it's mentioned at all, is used in defense of slavery, the ultimate casus belli. Texas's attitude towards the "debasing doctrine of equality". It's become a truism that California is ungovernable. Caps on property taxes that limit revenue, ballot-box initiatives that encourage spending, and the requirement of a two-thirds legislative majority to raise taxes or pass a budget all contribute to dysfunctional state government. It's also been said that California is the trendsetter, defining the fads and fashions that spread across America and the world. Put the two together and is it any real surprise that the first hints of ungovernability are beginning to appear on Richardson's horizon, too? After the jump, a look at the next city council term. For all photos, look here. Excoriating the exurbs is a popular intellectual pastime, but the people who moved to the suburbs weren’t fools. The friends of cities would be wiser to learn from Sunbelt sprawl than to mindlessly denigrate its inhabitants." After the jump, my review and more excerpts. What's Wrong with East Texas? After the jump, two stories out of East Texas caught my attention today. Richardson Idol is growing so much in popularity that this week two episodes aired. Tuesday night's show was jointly sponsored by the Highland Terrace Neighborhood Association and the Neighborhood Protection Alliance of Richardson. Wednesday night's show was sponsored by the Friends of Richardson. Neilsen ratings for each individual night held steady. Eleven of thirteen contestants vying for the grand prize, a seat on the Richardson City Council, performed on our stage for our judges Tuesday night (absent: Gordon, North). Ten performed Wednesday night (absent: Gordon, North, Mitchell). If you need a scorecard to keep straight all the new political organizations sprouting up in Richardson, you are not alone. The Richardson Coalition. The Richardson Citizens Alliance. The Neighborhood Protection Alliance of Richardson. What most of these have in common is more than a little ambiguity over who all are members and how representative they are of Richardson as a whole. After the jump, parsing the email from the Neighborhood Protection Alliance of Richardson. Recently, in response to impending cutbacks in education funding by the Texas state legislature, the Plano school district (PISD) announced plans to layoff 344 employees, including 223 teachers. So far, the Richardson school district (RISD) is hopeful of avoiding needing to take similar drastic action in Richardson. After the jump, what should we make of this difference? OK, this one is more than a little unfair and culturally insensitive, but the following traffic alert caught my eye and I can't resist passing on my reaction. "EastDay.com: Urban traffic is expected to face increased congestion for the rest of this month, caused by seasonal and other special events, local traffic authorities said yesterday. During the two weeks prior to the Qingming Festival on April 5, or China's traditional tomb-sweeping day, travel demand will surge. Drivers should avoid using the Shanghai-Nanjing and Shanghai-Jiaxing expressways, especially in the rush hours, during this time, officials said yesterday. After the jump, about that tomb-sweeping day. Andrew Laska is the President of Richardson Heights Neighborhood Association. He is the publisher of the Richardson Echo, an online news source for Richardson (that unfortunately looks like it has been moribund since early 2010). He is a co-founder of Preservation Richardson, a non-profit organization dedicated to preserving a digital history of Richardson. He probably has a few more lines in his resume that I'm not aware of, but that will do for the purposes of this blog item. Laska sent the following email promising to pass along his opinions about the upcoming Richardson City Council election. He doesn't say much in this first email, but promises that more opinions are to come. He also encourages recipients to pass it along, which is why I'm reposting it here. After the jump, Andrew Laska's commentary. "Tree the Town" vs "Trash the Town"
The Richardson City Council election has spilled over onto the D/FW local news, with Diana Clawson, candidate for Place 7, complaining to Channel 5 about Richardson's "Tree the Town" initiative. Critics of the city are piling on, saying they aren't against trees, they just want to know how much the program is going to cost. After the jump, how much will it cost? 2011 03 01 - Headline: "Huckabee says President Obama's childhood in Kenya shaped his world view ." Even Mike Huckabee's an idiot. Unless he retracts. 2011 03 01 - Is there such a thing as #DontFollowTuesday? If so, I nominate @charliesheen and @GovernorPerry. 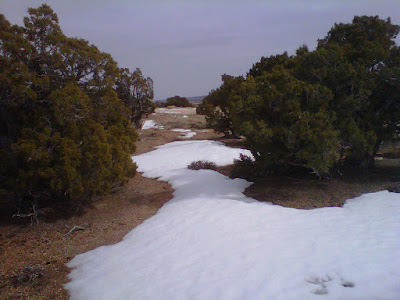 2011 03 02 - Headline: "Heavy Snow Linked To Climate Change." D'oh. Warm air -> More evaporation -> More precipitation overall, some locally heavy. D'oh. 2011 03 02 - Headline: "Pope Exonerates Jews For Jesus' Death." Shouldn't he instead be apologizing for his own sins? 2011 03 03 - UN agrees to have ICC investigate war crimes by Gaddafi. US supports move, with exception that no Americans can ever be investigated by ICC. After the jump, more Twitter tracks.